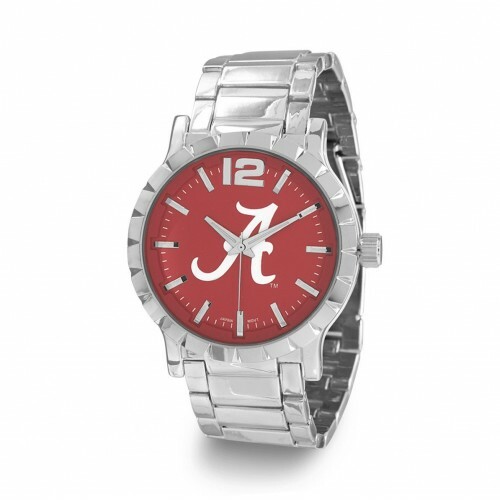 Collegiate licensed silver tone men's fashion watch. This watch has a 23mm silver tone band with a 45mm red face and white "A" logo. This watch has removable links. Fashion watches contain base metal.